Nominated for Trad Album of the Year at the 2006 Canadian Folk Music Awards. 1983 Félix winner for best trad album with Le Rêve du Diable, L’Amant confesseur is Claude Méthé’s first solo release. His trademark style and mature interpretation on what are primarily original compositions is pure pleasure! 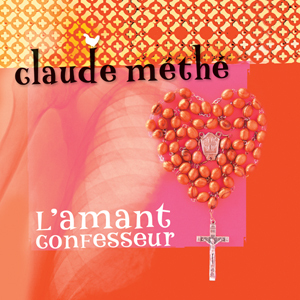 Add seldom-heard and reinvented songs and you have Claude Méthé at his very best! Avec/with : Dana Whittle, Pascal Gemme, Pascal Béland, Marc Maziade, Yann Falquet, Paul Marchand, Gilles Garand, Rachel Aucoin, Sabin Jacques, Gaston Lepage, Line Marion, Simon Riopel, Luc (Ti-Mé) Thériault, Denis Beaudry, Éric Beaudry, Simon Beaudry. Télécharger les paroles et textes de présentation bilingues en plus grand format (8-1/2 x 11, 378K PDF). Download song lyrics and bilingual liner notes in easy-to-read, larger format (8-1/2 x 11, 378K PDF).